What do miners, firefighters, electricians, plumbers, welders, loggers and so many more have in common? They all share a similar accessory that is a part of their everyday uniform – you guessed it, a hard hat! Hard hats are worn in a wide variety of industries with the purpose of keeping workers safe and preventing injuries. Unfortunately, there is not a “one-size-fits-all” method when it comes to choosing a hard hat. Listed below are six details to consider when selecting the best hard hat for you and your team. Where do you work?You can’t begin to determine which hard hat will best fit your needs until you identify your job duties and work environment. Consider the hazards you may encounter to assess the type and class of hard hat you require. Types and classesThere are two types of hard hats that protect against different elements. Type I protects from objects that come from above while Type II hats protect from falling objects that come from above, side to side and front to back. In addition to falling debris, consider the risk of electric shock. Class E (electrical) hats can protect you from electric shock up to 20,000 volts, Class G (general) hats protect up to 2,200 volts and Class C (conductive) will not protect against electricity. 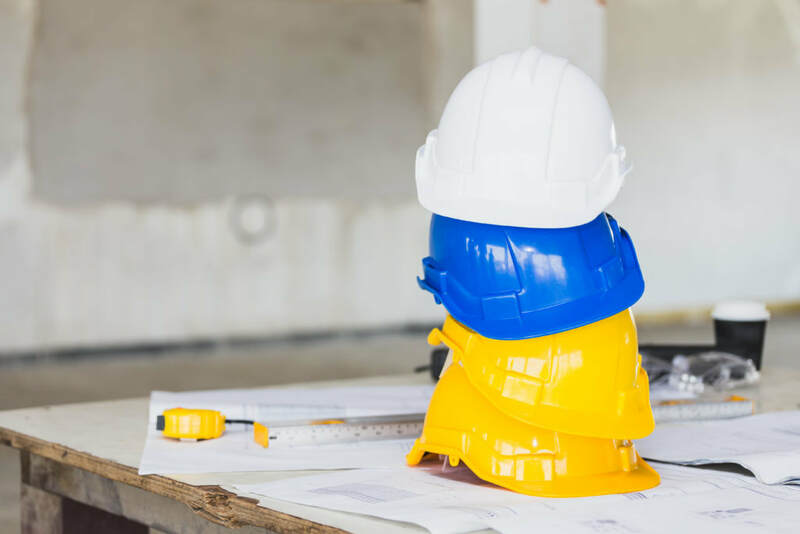 Consider the materialsWhile plastic is one of the most commonly used materials to create hard hats, that doesn’t necessarily make it the best choice for you and your company. As instructed above, consider the possible hazards in your work environment to determine the most appropriate hard hat material. For example, if you work with extreme heat (like molten metals), a fiberglass hard hat would be the best option. Hats are made in a variety of materials to provide safety, so don’t automatically gravitate toward the more inexpensive or lightweight options. Suspension: pin-lock or ratchet?The suspension of a hard hat is often considered the backbone. There are two types to choose from – pin-lock or ratchet. A pin-lock suspension is exactly what it sounds like – a locking mechanism that needs to be removed in order to lock the pin into the correct hole. A ratchet suspension can be adjusted while the hat remains on your head with a knob that loosens or tightens it. Suspension: points and impactDo you know how many suspensions points your hard hat has? Hard hats provide four, six or eight suspension points. A hat with a higher number of suspension points will be able to reduce the risk of injury because the impact will be spread out between the various points. A little extra flairAside from the basics, you can have a little fun with your hard hat selection! Many hard hats offer additional features such as vented hats to keep you cool, inserts made from terry cloth to keep sweat to a minimum and a variety of other liners. You could even go as far as customizing a hat with various colors, patterns and/or logos. If you’ll be wearing it often, you might want to make sure you’re comfortable with the way it looks and feels. Do you have a better idea about how to proceed in choosing your very own hard hat? We sure hope so – because it is a crucial decision with a lot on the line! Worksite safety is something we are passionate about and we would love to make sure you and your team are making every effort to stay safe. Let us know how we can help!